Now is winter over? No, not exactly. But it’s never too early to get your air conditioner ready for the balmy Boston summer that’s right around the corner. We find that homeowners are hesitant to schedule maintenance services. We understand why—maintenance services seem unnecessary when your air conditioner shows no sign of trouble. Trust us though, your maintenance services are essential for the overall efficacy of your heating system. If you’re ready to really prepare your cooling system for the high heat of summer then it’s time for you to contact a professional heating technician from our team. If you have any lingering air conditioning problems from last summer, it’s the right time to rectify these issues. Contact our professional team for air conditioning maintenance in Boston, MA. Our air conditioning maintenance services are thorough and will keep your home comfortable this summer. It Keeps You Cool: Last summer might seem like a distant memory to you now, but bring it to center focus. Did you have any trouble keeping cool? This is something that a lot of homeowners just learn to deal with. They either turn their thermostat higher and higher or only turn their air conditioner on as a last resort. If you’re burning up in your home then it’s time for you to call a professional. This isn’t a problem that you should try to DIY away. You need a team with the right training and knowledge. It Eliminates Humidity Problems: If you’ve lived in Boston for any amount of time, then you’re no stranger to humidity. If there’s just one place on this earth that you want to find solace, it’s in your home. You should never be able to describe the inside of your home as “balmy.” Humidity is more than an inconvenience to your comfort, it can become a real big problem to your health. High humidity levels cause mold and mildew throughout your home. Breathing mold spores is a health risk, so make sure that you contact a professional at the first sign of trouble with this. You Want Your AC Bills Low: If you dread receiving your air conditioning bill every month because you know how unreasonably high it’s going to be then you need to contact a heating professional. When you maintain your air conditioner, it helps you keep your air conditioning bills low because a well-maintained air conditioning system always works best. It’s always a great idea to tune-up your air conditioning system now before the heat of summer rolls in. 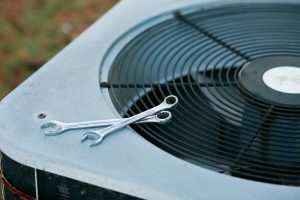 It Helps Your AC Unit Last Longer: A well-maintained air conditioning system lasts a lot longer than an air conditioning system that’s poorly maintained. Your air conditioning unit is a real investment so you want it to last you as long as possible and air conditioning maintenance will help you do that. As the end of winter turns to spring, it’s time to start thinking about the quality of your air conditioning. If you’re ready to service your air conditioner then make sure that you choose a quality AC technician. Contact our team today to schedule an appointment.